I-75 to west on Mt. Zion Rd, to right on Rt 42 to the Harmony Place Patio homes entry on left or I-75 to exit 180 (US 42/127) to west to the Harmony Place Patio homes entry on the right. Better than new Drees Patio Home! Open & spacious from the front entry to the covered deck. 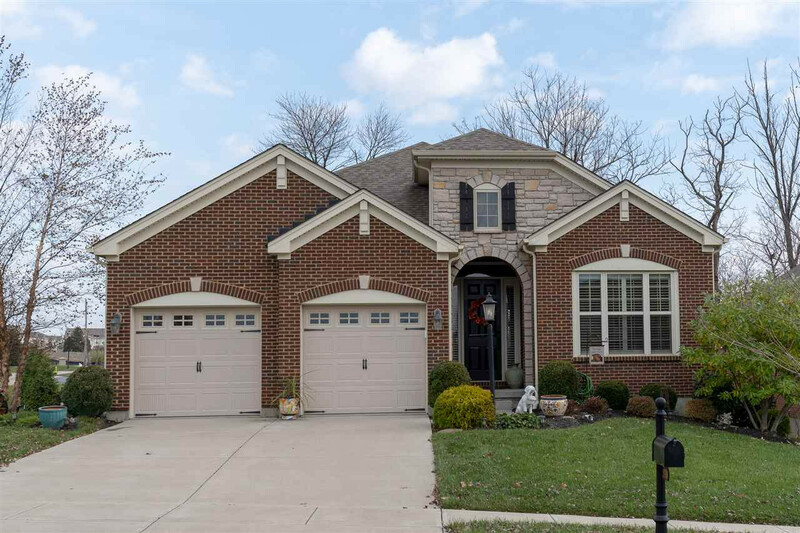 First floor living at its finest features hand scraped wood floor, formal dining room & private study,soaring ceilings,gourmet kitchen w/lg island, walk-in pantry.Walkout from finished lower level w/beautiful wooded views! All this and more in the heart of Union only minutes to shopping, dining & highways!